Some awesome news! 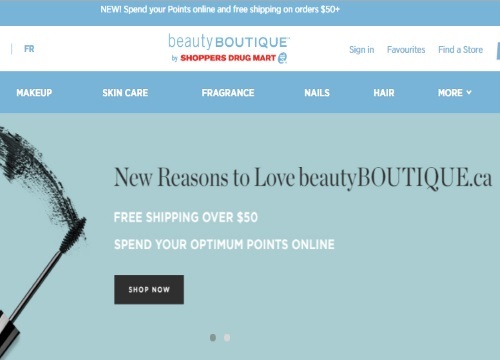 You can now redeem your Shoppers Drug Mart Optimum Points in the Beauty Boutique online shop! I often redeem my Optimum Points on cosmetics, so it's pretty cool to see that you can redeem them online now too. Benefit, Clarins, Clinique, Stila, Dior and many others, all the brands that you see in-store. Depends on what courier they use, if it's Purolator, DHL etc it won't be affected.